There's no keeping a good man down. 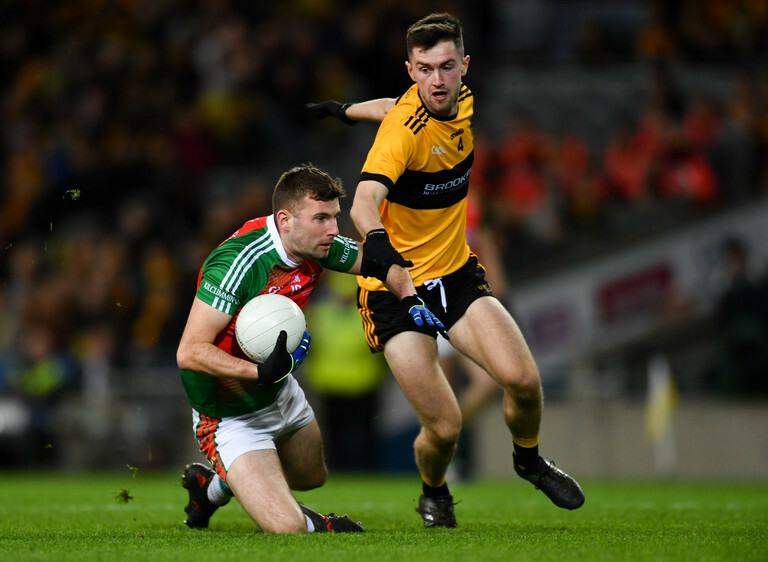 Kevin McCarthy made a timely return from a broken hand to guide club side Kilcummin to victory over Naomh Éanna, Glengormley, in what was a pulsating AIB All-Ireland Intermediate Club Football final. The Kerry forward, who hasn't kicked a ball in anger since the Munster Intermediate final win over Fermoy, grabbed an unbelievable 3-07 under the Croke Park lights tonight, providing the footballing world with a firm reminder of his ability, after a tumultuous few months off the field. The 24-year-old avoided a jail sentence in November after being found guilty of assaulting two gardaí in a drunken attack on St. Stephen's Day 2017. In the most frantic of frantic openings, goals from Matt Keane and McCarthy had helped the Munster champions race to a 2-03 to no score lead after seven minutes, only for Naomh Éanna to grab their own foothold, cutting the deficit to only two points by the twentieth minute, when Kristian Healy's scruffy effort crossed the line. That followed a fantastic finish from teammate Eoin Nagle moments earlier, and the first half drama was not done there. Kilcummin were awarded a penalty in the 21st minute when Enda's goalkeeper Paddy Flood scythed down what looked a goalbound Noel Duggan. Flood was black carded for the infringement with Mickey Morgan, usually a wing forward, taking his place between the sticks. He could do little, however, to deny Kieran Murphy's coolly converted spot kick. That put five between the sides, a margin that the Glengormley side were unable to eat into before the break. In a second half where breath was a little more easily come by, the Kerry men had stretched their lead to nine before three unanswered Naomh Éanna points, including two beautiful Ruairí Scott efforts, pulled things back to six, with captain Brendan Kealy proving imperious in goal for the eventual winners. But McCarthy was on a level on his own throughout, and killed the game off with his second major eight minutes from time, before completing a fantastic hat-trick in injury time, in what was one of the most abundantly obvious man-of-the-match performances Croke Park has seen in a long while. A little harsh on a Naomh Éanna side who played their part in a heart-stopping encounter, but there would be no denying the fantastic McCarthy and his teammates, who won out on a scoreline of 5-13 to 2-09. Kealy saves another effort from Naomh Eanna ALL OVER WE ARE ALL-IRELAND INTERMEDIATE CLUB CHAMPIONS FOR 2019!!!!!!!!!! 5-13 TO 2-9. SEAN KELLY'S WONDERFUL VISION SEES HIS NATIVE CLUB NOW JOIN ILLUSTRIOUS LIST OF KERRY WINNERS. Commiserations to @NaomhEannaCLG never gave up!